Another writing prompt while I figure out what I want to talk about on this blog and where to start. Of course I always welcome suggestions! I currently have 5 tattoos. Each one symbolizes something to me and is a great topic of discussion when mingling with new people albeit, I’m pretty socially awkward and introverted at times. I’ll go down the list of tattoos I have chronologically and the story behind them. These were my first tattoos I got back in 2007. I was 19 at the time and my older sister had just gotten her first tattoo earlier that week. We went to some tattoo shop in the West Village and within 30 minutes, I had 2 new tattoos. 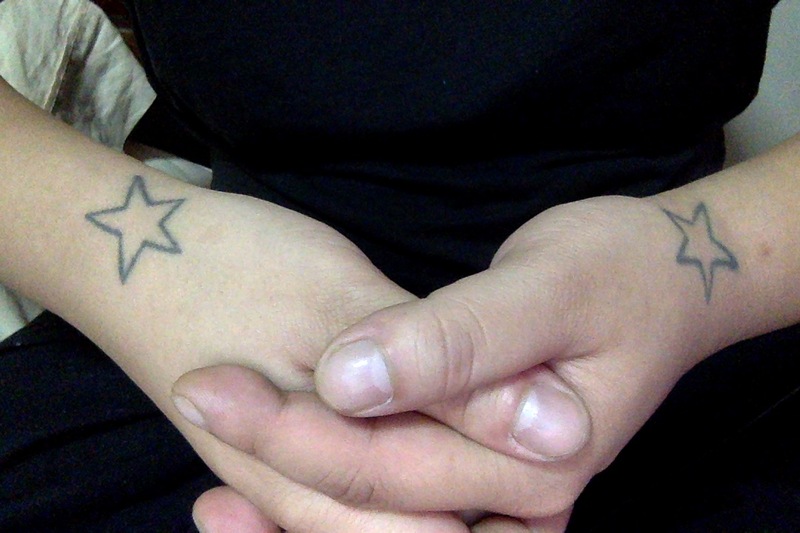 The reasoning behind these tattoos were two fold: first, I am a huge fan of R&B singer Aaliyah and knew she had a small star intertwined with the initial “A” for her name on her right wrist. My name didn’t start with an “A” but I still wanted to memorialize her in some way so I opted for stars. Secondly, it served as a reminder that the stars are within your reach – a great meaning. The tattoo artist had me by the window while he tattooed me and I’m not going to lie, it hurt. Of course I had a poker face on because random people would stop and peer in from outside but it came out great. I was deathly afraid of showing my conservative asian parents so I kept it hidden for a while. Eventually, I gave up hiding it (seriously, long sleeve shirts in the Summer) and their first reaction was that I had “defiled” my body. My father’s main concern was the placement and how it may squander job opportunities. That year, Rihanna also got star tattoos across her neck which lead to everyone getting star tattoos. Tattoo trends do exist (remember the barbed wires/tribal bands across the bicep?). I’ve met 2-3 people with the same tattoos as mine around the same area. So much for being original. Long before the Girl with the Dragon Tattoo, there was this guy with the Dragon Tattoo. Cliche, I know. It was unexpected and random. After work one day, I walked around with a fellow coworker. We were around my neighborhood when she decided to get a tattoo. Always up for something fun and interesting, I decided to get one too. Now here’s a coincedence: my tattoo artist had just finished tattooing my older sister that very same day! When he checked my ID, he asked if I knew my sister had gotten one earlier that day. I replied no, and texted her to ask. My sister mentioned she did and left her ID there, at which point he brought out the ID and asked if I can return it to her. Small world. When picking my dragon design, I wanted a tribal design because it was abstract to me. I know tribals are overrated but who cares? The reason why I chose a Dragon was because my name is Long and in Chinese and Vietnamese, it means Dragon. Remember that Disney Channel show American Dragon: Jake Long? Yeah, his last name actually meant something. I decided to add wings to my Dragon because I wanted to mesh eastern style Dragons with western style Dragons. Eastern Dragons do not have wings. Western Dragons have wings however. So I asked the artist to add wings. It is on my upper right arm and when wearing short sleeves, the tail part is visible which leads to random people (mostly females) to pull up my sleeve for a better look. I got my Phoenix tattoo earlier this year. It was something that was long overdue. 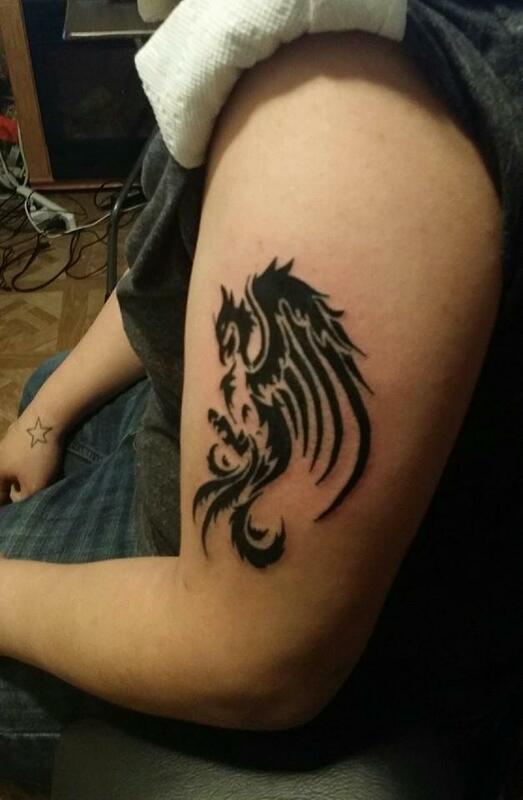 I had been wanting to get another tattoo for a while and i always wanted to get a phoenix because I liked what it symbolizes: rebirth and rising from the ashes. I had gotten out of a 8 year relationship with my ex the previous year and decided this was a great way to symbolize my rebirth in a sense. The added bonus is that in Chinese mythology, the Dragon and Phoenix represent Yin and Yang so it matched my Dragon tattoo. I got it on my upper left arm to match my upper right arm Dragon tattoo. I actually went to a friend this time. The tattoo artist went to middle school with me and judging by her portfolio, she was very skilled. 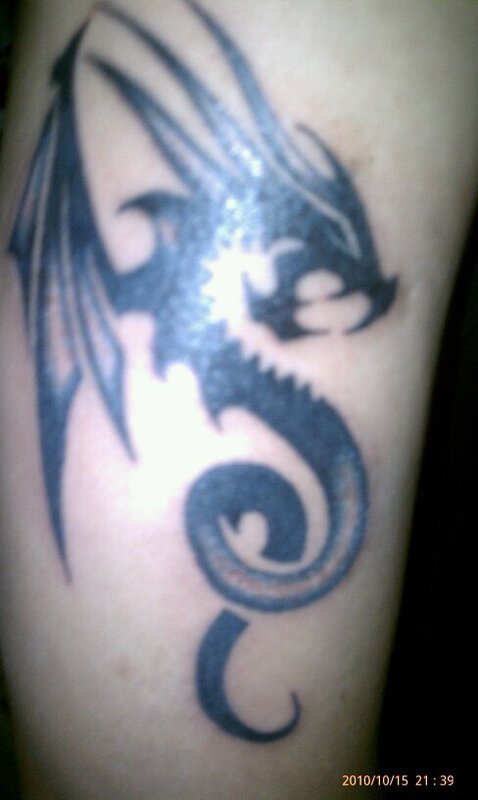 I told her what I wanted and how I wanted it to match my dragon tattoo and she did a great job. I’ll admit this tattoo hurt like hell and the process took about 2 hours, but I was happy with the result. The latest tattoo I got was an Ankh tattoo on my right wrist. I got it about 2 months ago. It is an Egyptian symbol meaning “Eternal Life”. 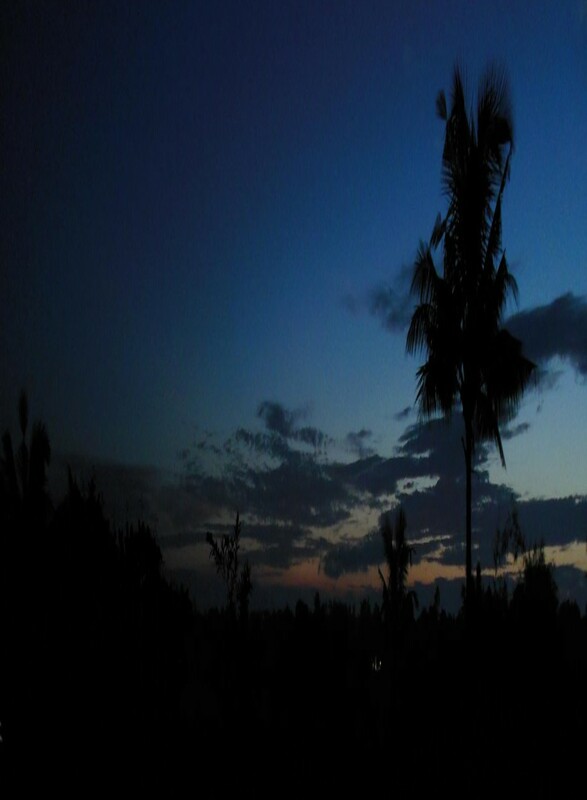 The meaning varies as it’s lost in translation, it can also mean “Life”. 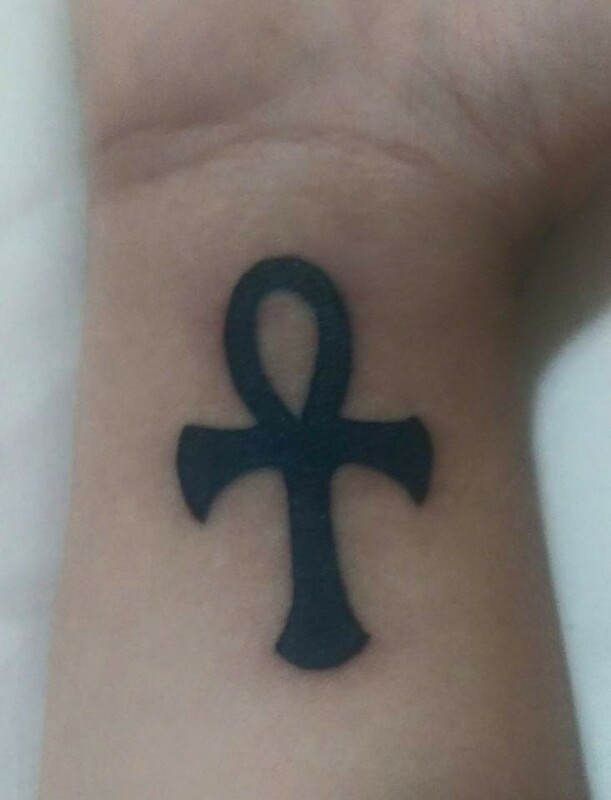 I always wanted to get the Ankh as I was obsessed with Egyptian culture when I was younger. An added bonus was knowing Aaliyah also had an Ankh tattoo as well. I got it spontaneously at a tattoo shop near my house. The tattoo artist was from California in NYC for the weekend as a guest tattoo artist. Juice was his name and along with his friend, Mikey Montoya who’s brother Tommy Montoya is part of the reality show “NY Ink”. Juice was really nice, he sketched out the piece and we chatted a bit about various topics. It didn’t hurt at all and heal quite nicely for a wrist tattoo (wrists are notoriously hard to heal due to the creases we have from bending our hands). I may get another tattoo soon, on my other wrist. 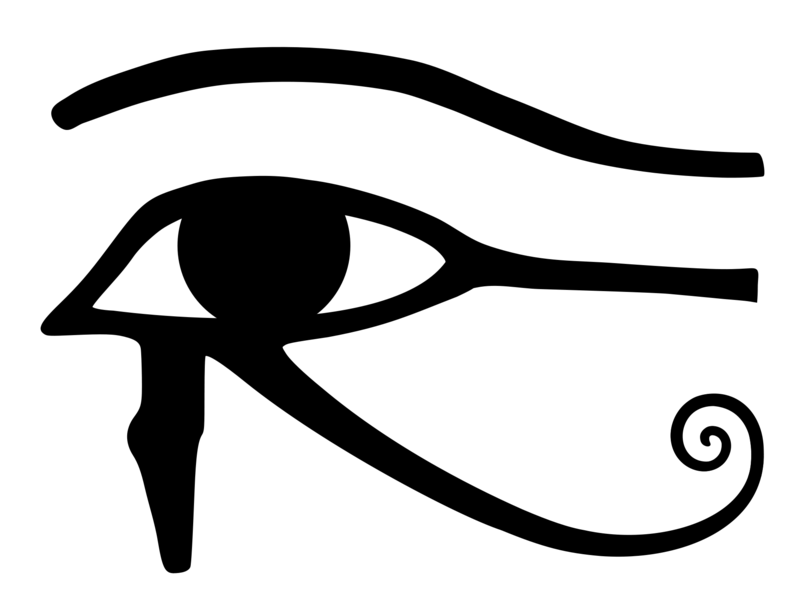 I want the Eye of Horus on my left wrist. The “Eye of Horus” is also know as the all seeing eyeBy now you may have noticed a trend of me trying to keep my tattoos even: stars on both outer wrists, mystical creatures on both arms, now Egyptian symbols on both inner wrists. So that’s the stories behind my tattoos. My parents may hate it, but each one holds a great meaning to who I am as a person. Leave in the comments below: what tattoos do you have? What’s the meaning(s) behind it? Or what tattoo would you get? I’d love to hear some ideas! < Previous School of the Future. Next > A Commitment To Non-Commitment.